Limitations in Network Rail’s cost information has hampered the ability of the Office of Rail Regulation to assess efficiency savings. "The gap between Network Rail’s efficiency, as a monopoly provider, and that of comparative European rail infrastructure managers has been effectively identified by the Office of Rail Regulation. It is so wide that it has served up to now to drive forward improvements in efficiency by Network Rail. However, further progress will depend on the Regulator developing significantly better information on Network Rail’s costs." Limitations in Network Rail’s information on its own costs are hampering the ability of the Office of Rail Regulation to judge the genuineness of the efficiency savings reported by Network Rail. 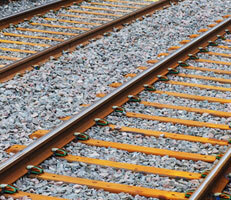 The Regulator has also determined that substantial scope remains for Network Rail to improve its efficiency. Today’s report by the National Audit Office acknowledges that the Regulator has significantly developed the methods it uses to judge efficiency. Its targets have demanded substantial improvements from Network Rail. According to the Regulator’s assessments, Network Rail has come close to meeting these targets, by making efficiency savings of 27 per cent in the five years to 2008-09, equivalent to £1.8 billion in that final year. This was below the Regulator’s target of 31 per cent, although this was still an achievement when compared to savings in other regulated industries. The Regulator has determined that substantial scope remains for Network Rail to improve its efficiency, estimating that maintenance and renewal activities were 34 per cent to 40 per cent less efficient than the most efficient European rail infrastructure managers in 2008. The Regulator estimates that Network Rail can achieve further efficiency savings of 21 per cent in the five years to March 2014 – equivalent to spending £940 million less in 2013-14 than the forecast for that year without efficiency gains. However, there are continuing limitations in the robustness and coverage of Network Rail’s unit cost information. These need to be addressed promptly to improve confidence that future efficiency targets accurately reflect Network Rail’s potential for sustainable savings, as the efficiency gap narrows, and that reported savings correctly reflect efficiency gains actually achieved. Network Rail is financed by debt guaranteed by the Government and holds a national monopoly over the rail network. This means that the Regulator cannot rely on many of the incentives that encourage efficiency savings in other regulated industries. Network Rail’s main incentives to deliver efficiencies are reputational and a component of Directors’ remuneration. The Regulator can specify objectives for Network Rail’s management incentive plan, but has in the past expressed surprise at the levels of executive bonuses.